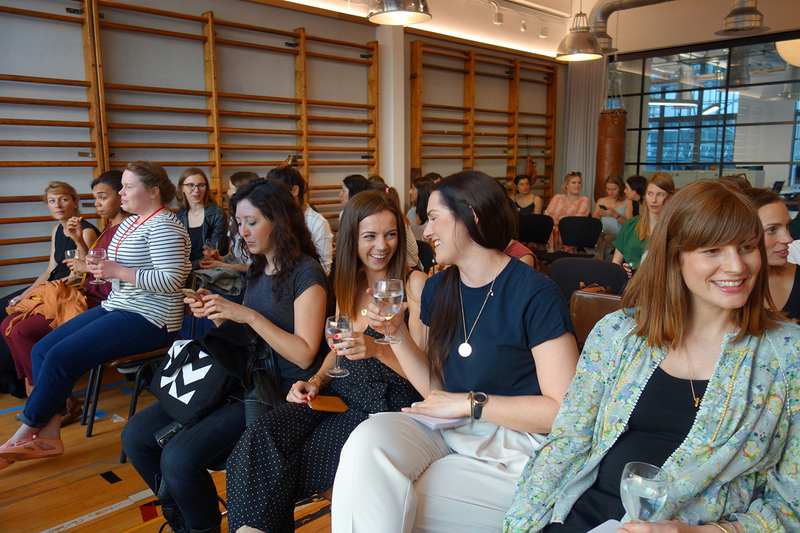 Talking about 'Going Solo' to the ladies of London. Ladies, Wine & Design was started by Jessica Walsh after this happened and she realised that sometimes women can be competitive or unsupportive of one another. 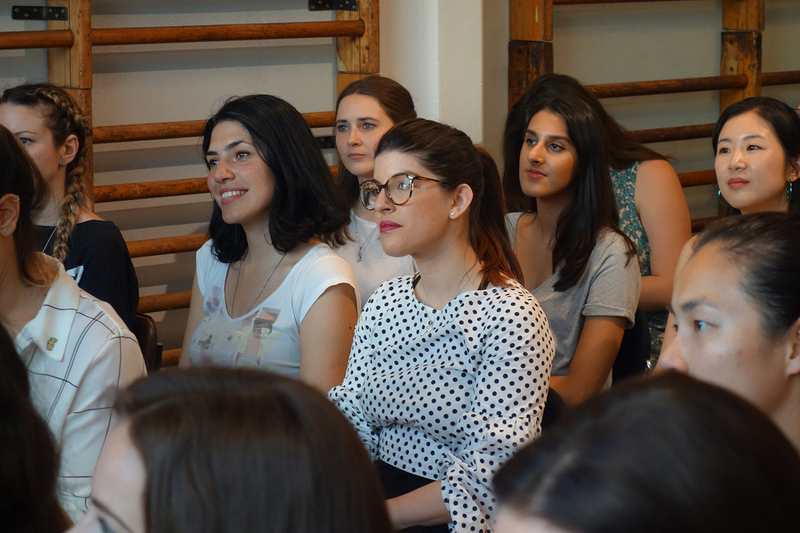 Only a small percent of creative directors are women, and LW&D wants to help change this through mentorship circles, portfolio reviews, talks, and creative meet-ups. 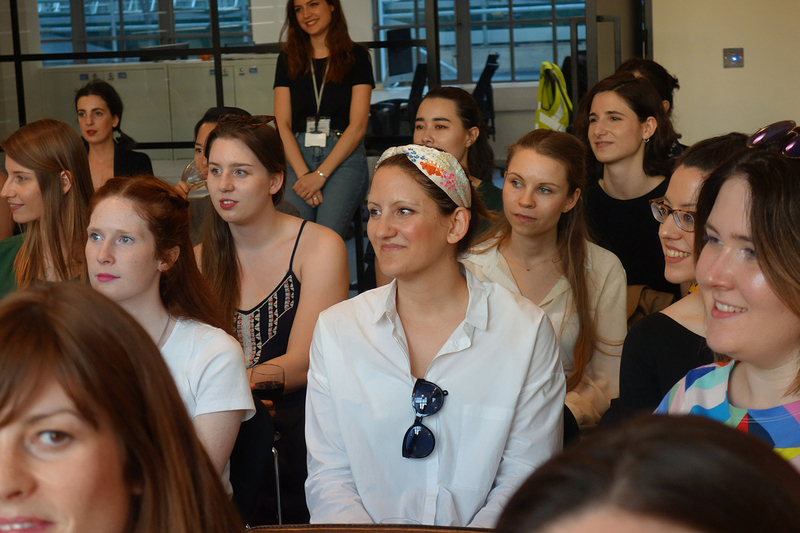 In less than two years of launching, they’ve spread to chapters in over 180 cities all over the world so I was overwhelmed when the London collective got in touch and asked me to speak at their recent event. The event theme was ‘Going solo’ and I was one of five speakers sharing my self-employment story, along with the talented Sarah Boris, Helen Friel, Mavis and Haidee Drew. My journey is a little different to most, as in it certainly wasn’t planned. I accidentally fell into self employment after a mix up in job offers which left me looking for freelance work. In honesty, I’d never really considered it before, I hadn’t believed it was something I could do, and I certainly didn’t feel experienced enough to do it! But just a couple of months in and I was loving my new found freedom… fast forward 6 years and I wouldn’t change it for the world. I graduated in 2008 and got my first job in a small agency, which meant I learnt many business skills without even realising. Everything from quoting, invoicing, proposals and pitches… that experience was essential to me when starting out of my own, albeit I hadn’t realised it at the time. I spent 4 years in the agency and any spare evenings and weekends went into personal work, mostly illustration (which is something I didn’t have the opportunity to do in my graphic design role) — I curated exhibitions, featured in magazines and hosted workshops. I just loved to draw. When I went into self employment it was only then I appreciated what I’d learnt in the agency world and truly began to understand the power of networks. I’d never considered that my involvement in these events and exhibitions was building up my ‘network’ — and in honesty I’d only ever done those things for my own enjoyment and because I genuinely enjoyed the social side. But, all this ‘networking’ came in super handy when suddenly I found myself looking for work. To begin, I sent out emails to everybody I’d met over the years to let them know I was taking on freelance projects and slowly but surely I began to have a steady stream of work. I did a small stint of freelancing in agencies but quickly decided I much preferred working on my own terms and directly with my own clients. Cashflow is one of the biggest challenges when setting up a business and in my first two years the main goal was to stay afloat. I took on whatever project came in (within reason)… nothing was too big or too small. My unplanned route into self employment meant I didn’t have a stash of funds to cover the rent or pay my bills, so if I could offer any advice to anybody thinking of going alone — it’s to have some back up savings to relieve some of that financial pressure. Illustration. I love illustration. Yet as a graphic designer I’d always seen these as two separate entities. I’d read a magazine article about only showing the work you want to do and how your portfolio should be a representation of you and what you love most. So I began to add some of these personal projects I’d been doing in my spare time onto my website, and omitted all the work that I thought I should have been doing as a designer (but didn’t really connect with). I remember my first packaging project was for a chocolate brand… a dream project!! The medium was the perfect opportunity / challenge to utilise both my design and illustration skills. Once that project was launched on my site it began to attract more work like it and the rest is history. Although it wasn’t that easy… this is of course the shortened version. It took me 7 years from graduating to find confidence to do the sort of work I really wanted to do. I spent a lot of time doing what I thought I should be doing, following other designers and industry trends. But as soon as I began following my own heart it opened up so many doors and connected me to likeminded people who share my passions and values — which is something that’s really important to me. As my personal brand has grown I’ve gained more experience and clarity with my work. I like to think folk get a good sense of who I am by looking at the projects I’ve done and clients I’ve work with. I thrive off the passion and love of each business owner I collaborate with — and am thankful to be in a position to now choose who I work with. I see the design process as a partnership, an opportunity to push and learn from each other. Everybody has their own path, we learn from mistakes and build confidence through experience. Going solo isn’t the easy option, it takes blood sweat and tears but the rewards are priceless. 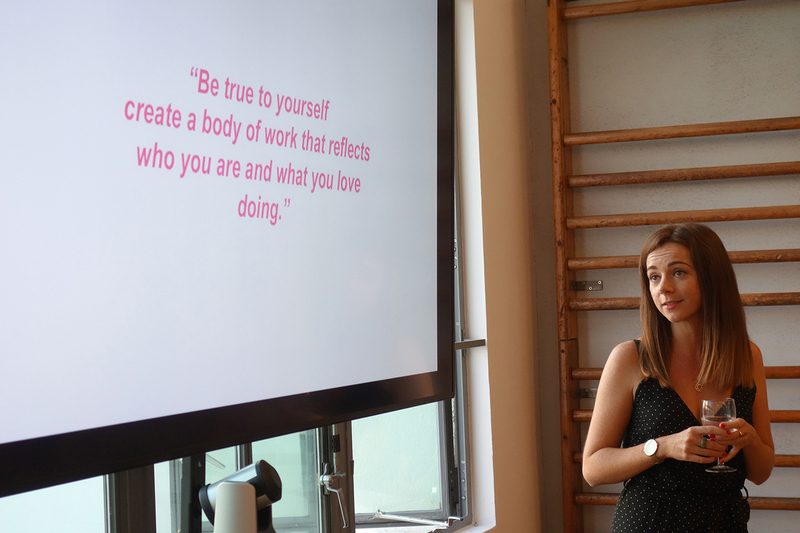 The event was a fantastic night to meet fellow lady designers and share our experiences. I’m looking forward to the next one!